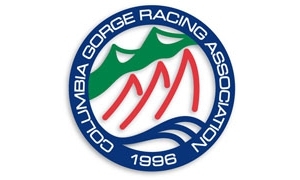 The Columbia Gorge Racing Association is pleased to welcome the Melges 24 class to Cascade Locks, Oregon, for the 2015 CSR Marine Melges 24 US National Championship. This regatta is open to all boats that meet the obligations of the Melges 24 Class rules and USMCA rules, including class membership. We look forward to seeing you in the Gorge next summer! The 2015 CSR Marine Melges 24 National Championship is almost here and in anticipation of what is going to be one of the most fun regattas ever, the Corinthian Division is steady growing. Already ten teams have cleared the qualification process. Many, many more are expected to join the ranks of what potentially will be the largest ever all-amatuer Melges 24 National Championship fleet on the North American continent this year. For teams still anticipating in the Corinthian Division, please see the following items below. Submit Your Corinthian Declaration Form today to qualify! 1.) Complete a USMCA Corinthian Declaration Form and submit it to USMCA Admin, Joy Dunigan via email prior to August 3. You will be supplied a confirmation upon receipt. 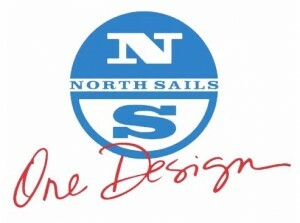 Once received, your team will be listed online at usmelges24.com as an official Corinthian division entry. - and each must possess a Group 1 Classification from ISAF. 3.) If you have an expired ISAF ID No. and Classification, this must be renewed in order to qualify. You can renew at this link: Renew Your ISAF ID No. and Sailor Classification. 4.) If you, or one of your crew members need to acquire a unique ISAF ID No. and Sailor Classification, they may do so at this link: Get An ISAF ID No. and Sailor Classification. 5.) ENTRY DEADLINE: Your USMCA Corinthian Declaration Form must be received by August 3, 2015 in order to qualify. 6.) For further assistance or questions, please contact USMCA Admin, Joy Dunigan via email. We are happy to help you and your team in anyway possible. NOTE: If your team is from any country other than the USMCA, please skip question No. 1 in regards to being a full member of the U.S. Melges 24 Class Association. As long as you have full class membership to your National Class Authority, you are good. Please see the following information below regarding dockage and mooring at the forthcoming 2015 CSR Marine U.S. National Championship. Respond direct to Dave Jursik. 1. The only access to the Marine Park is under a railroad crossing with the maximum height of 12 feet. Most shipping companies have equipment that will fit beneath the bridge, but arrangements must be made in advance. 2. Owners must make arrangements to offload the boat/trailer from the truck and park it in the appropriate location (see next item). 3. Parking of the boat/trailer, assuming the boat arrives prior to the event, will be provided in the grass parking area created for the event just West of the Marine Park Visitor’s center. Rigging must be completed near the boat ramp because of obstructions between the grass parking area and the boat ramp. For teams competing in both CGOD and Nationals: rigged boats can be parked in a designated area near the ramp only between both events. The berthing plan involves the use of both the marina in the Cascade Locks Marine Park (adjacent to the CGRA office) as well as the public dock owned by the Port of Skamania County and located across the river from CGRA in Stevenson, Washington. This location is a 5 minute drive from Skamania Lodge and will be a convenient location for teams staying in the Lodge for the event. Each location has a public, no charge, boat ramp. The safe and efficient choreography required to move boats in and out of the marinas will be important to accommodate the racing schedule. To facilitate this, boats will be assigned specific zones for moorage and will be notified at registration of the assignment. The process for moving in and out will be described at the Competitors’ meeting Thursday morning. Cascade Locks Marina - Freedom of movement is limited (none), outside of the choreographed in/out before and after racing. All boats will be wet sailed for the event. This marina is sheltered from the wind regardless of whether it is coming from the East or West. Marina entrance is just North of slip #1. See the image below. Stevenson Docks - The dock is adjacent to the public launch extending south 75’ into the river with a 106’ arm at 90 degrees extending East. The water depth inside the arm is approximately 8’. This dock is relatively sheltered during West winds, which is the predominant summer direction, but exposed to Wast winds, which while rare, do occur. There can also be wakes from the commercial river traffic. Stevenson Mast-Up Storage At No-Cost - The Port of Skamania County owns the commercial property just West of the boat ramp. The boats will be parked at the West end of the building over night and then launched the next morning. Owners with this preference need to be experienced at ramp launching to ensure that all boats are in the water and at the committee boat on time for each start. See the image below. Respond to this note by completing the zone choices below no later than July 24. Email:Dave Jursik. 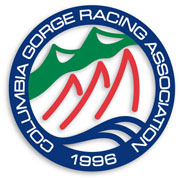 The U.S. Melges 24 Class Association in full coordination with the Columbia Gorge Racing Association is very excited to be welcoming you all to the Gorge on August 7-9! We are hearing that there are several more boats out there that are still debating racing at the Gorge. Now is the time to put that phone call into all your friends and fellow Melges 24 owners and get them ON THE LINE! This event is going to be so much fun, so now is the time to register — it's not too late! Register To Race Today! This is one of the coolest things going for this event. Every owner and every crew member is going to receive a very cool, ultra-awesome Helly Hansen Technical shirt (a $50 value) with your entry. Log into the 2015 CSR Marine Regatta Network Event Web Site NOW and make sure you have provided all of your names and appropriate sizes for each crew member. If this is too difficult, please send this information via an email to U.S. Class Admin, Joy Dunigan. A tuning clinic with Melges USA will be taking place in advance of the event. Make note of this and stay close to usmelges24.com and the 2015 CSR Marine Regatta Network Event Web Site for all the details. You won't want to miss this awesome experience! As always, please make sure you have paid your entry fee accordingly. Log into the 2015 CSR Marine Regatta Network Event Web Site and take care of that if you have not already. This is so super, super important. Be sure to complete your entry online with all of your crew names. In addition, please be sure to print and complete your Crew Declaration. You can be send in advance to the Class Admin via email. If anyone has any questions in regards to any item above, please contact U.S. Melges 24 Admin, Joy Dunigan via email at your convenience. This competitor announcement is in regards, strictly to those teams anticipating competition in the Corinthian division at Nationals. Many of you have marked on your entry via the event website and registration portal that you wish to compete as a Corinthian team. Please be aware that this does not guarantee your inclusion in the division. Complete a USMCA Corinthian Declaration Form and submit it to USMCA Admin, Joy Dunigan via email prior to August 3. You will be supplied a confirmation upon receipt. Once received, your team will be listed online at usmelges24.com as an official Corinthian entry. - ... and each must possess a Group 1 Classification from ISAF. If you have an expired ISAF ID No. and Classification, this must be renewed in order to qualify. You can renew at this link: Renew Your ISAF ID No. and Sailor Classification. If you, or one of your crew members need to acquire a unique ISAF ID No. and Sailor Classification, they may do so at this link: Get An ISAF ID No. and Sailor Classification. ENTRY DEADLINE: Your USMCA Corinthian Declaration Form must be received by August 3, 2015 in order to qualify. For further assistance or questions, please contact USMCA Admin, Joy Dunigan via email . We are happy to help you and your team in anyway possible. NOTE: If your team is from any country other than the United States, please skip question No. 2 (Qualification Questions) in regards to being a full member of the U.S. Melges 24 Class Association. As long as you have full class membership to your National Class Authority, you are good. We look forward to having a record breaking number of Corinthian teams on the starting line at the Gorge! CLASS MEMBERSHIP Nationals is a major class championship, therefore class membership is required. Many thanks to those of you who have already joined the class in 2015. To join, you may: Join Online Via this hyperlink, you can use credit card to pay your membership Download & Complete A Membership Form Attached to this email is a membership form. You may mail in your class membership to this address: Melges Performance Sailboats c/o Andy Burdick/USMCA N598 Zenda Road Zenda, Wisconsin, 53195 If you choose this method, please make a copy of your membership form + check and email it in advance to U.S. Melges 24 Class Admin, Joy Dunigan so that the class websites can be updated in a timely manner. It is recommended that you also bring a copy of this with you to registration. CORINTHIAN COMPETITION If you feel as though your team qualifies for Corinthian Competition, please complete the attached Corinthian Declaration Form and email to U.S. Melges 24 Class Admin, Joy Dunigan. The Class Admin will confirm receipt of your Corinthian Declaration Form and communicate as to whether or not your team qualifies for competition within the Corinthian Division or, if there are any updates that need to be made in order for your team to qualify as Corinthian. Corinthian Crew Lists will be listed online at usmelges24.com in advance of the event. MEASUREMENT Every competing team is required to present a copy of your measurement certificate at the time of registration. In order for your team to compete, your measurement certificate SHALL be valid. If you have any questions regarding this item, please contact USMCA Technical Chairman Dari Esfahani or Co-Regatta Chairman/Pacific Northwest District Governor and USMCA Secretary/Treasurer Manfred Schmiedl via email. REGISTRATION & WEIGH-IN Please be aware: • An initial weigh-in will take place on Thursday, August 6 and Friday, August 7. • Every Melges 24 team must complete and submit a Crew Declaration Form (attached) by the close of registration in order to be cleared to race. This form may be completed in advance and sent to U.S. Melges 24 Class Admin, Joy Dunigan via email. Otherwise, please be prepared to complete this document during registration/weigh-in. FURTHER INFORMATION For more information please feel free to contact U.S. Melges 24 Class Admin, Joy Dunigan via email. Cascade Locks, OR- With a host of Melges 24 teams from all over the U.S. already pre-committed to racing at the 2015 Melges 24 U.S. National Championship scheduled to take place at the Gorge on August 7-9 and hosted by the Columbia Gorge Racing Association (CGRA), the U.S. Melges 24 Class Association is thrilled to welcome CSR Marine as the event’s main title sponsor/partner. This is not the first time that CSR Marine has partnered with the USMCA to support its marquee event of the year. 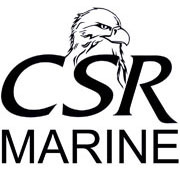 In 2012, CSR Marine sponsored the event where in upwards of 30+ teams competed. For 2015, the USMCA expects to exceed that entry number easily. "On the heels of a very successful 2014 National Championship held in Tampa, FL last month, the Gorge is the absolute perfect location for the next event and CSR Marine a continued, valued partner" said Manfred Schmiedl, USMCA Pacific Northwest District Governor and 2015 National Championship Event Chairman. "The conditions for this event will prove ideal for what the Melges 24 is designed to do and feel like downwind — full-on planing conditions that will be a total blast!" With more than eight months to go before the event physically commences, Online Registration is now officially open and teams are encouraged to sign up as soon as possible. A Notice of Race is also available via the above link.